Malaysian Muhammad Haziq Mohd Tarmizi, 17, was killed while his father, Mohd Tarmizi Shuib, 42, and two other Malaysians, Muhammad Nazril Hisham Omar and Rahimi Ahmad, were among the 42 others injured in the massacre at the mosques in Christchurch. The Yang di-Pertuan Agong, Al-Sultan Abdullah Ri’ayatuddin Al-Mustafa Billah Shah, attended the Friday prayers and solat jenazah ghaib at Masjid Abdullah Az-Zubair at the Kuala Lumpur airbase here. His Majesty arrived at 1.15pm, accompanied by Chief of Air Force Gen Tan Sri Affendi Buang and Federal Territories Mufti Datuk Seri Dr Zulkifli Mohamad Al-Bakri. 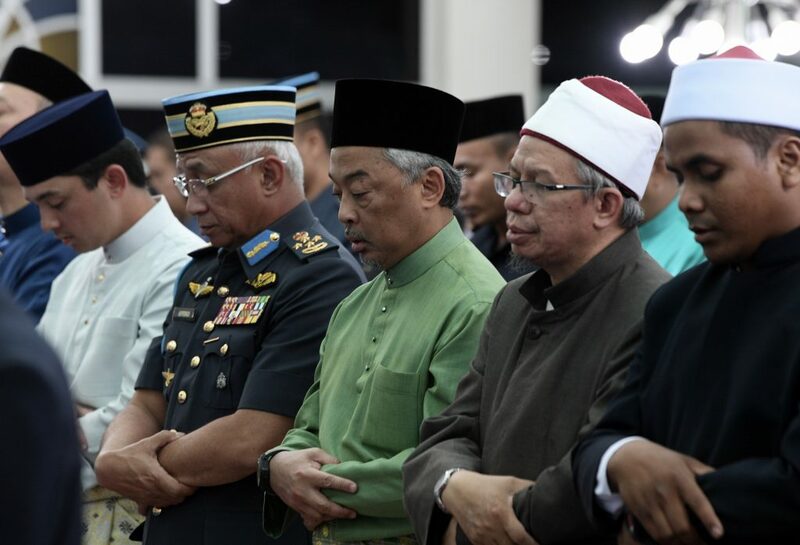 Federal Territory Islamic Religious Department director Mohd Ajib Ismail and Royal Malaysian Air Force (RMAF) personnel also attended the prayers. The Imam of the mosque, Maj Mohamad Muntaha Saleh, led the prayers and delivered a sermon on Islam Agama Kedamaian (Islam, A Religion of Peace). In the sermon, Mohd Muntaha advised the worshippers to learn from the tragedy at the Al-Noor and Linwood mosques in Christchurch which he said was the result of the misunderstanding of Islam. After the Friday prayers and the solat jenazah ghaib, Sultan Abdullah and the other worshippers performed the solat hajat prayer for peace and harmony in Malaysia. At Masjid Jamek in Kampung Baru, about 500 worshippers performed the solat jenazah ghaib for Muhammad Haziq who was buried at the Memorial Park Cemetery in Christchurch on Thursday. The prayer was led by Imam Azizi Ab Hamid. A solat jenazah ghaib was also held at the main surau of the National Heart Institute here. FT mosques, surau hold funeral prayer in absentia for NZ tragedy victims 0 out of 5 based on 0 ratings. 0 user reviews.